After the drug test I relaxed at home, before my next appointment at the eye doctor. I’ve been having problems with wearing eye make up and getting infections in my eye afterwards. The doctor gave me a home remedy, because I didn’t want to take an antibiotic for something like that. Also I had my vision checked since it had been two years since I last had them checked. Of course my prescription has changed. They had the lenses in stock and had them ready for me in an hour and a half. Since the prescription is a lot stronger than my previous one, it’s been taking some getting used to. I feel like my depth perception is really really off so I’ve been wearing them off and on. I also think they gave me a headache which I woke up with in the middle of the night. Oh well hopefully I get used to them soon. 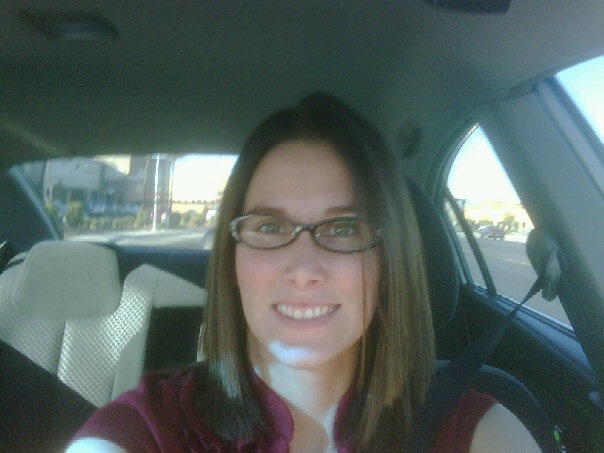 This was back in 09 when I first got my glasses, I love the frames so I just upgraded the lenses. Today I had an interesting appointment planned for noon, laser hair removal. A few months ago I bought a groupon for 8 laser hair removal treatments for my underarms. I had been waxing (if you have any waxing questions, please don’t hesitate to ask me for advice, I worked at a waxing salon front desk for a year) over 2.5 years, which can be costly, so to save some money over time I decided it was time to try laser hair removal. I had to stop waxing for at least a month before starting the laser hair removal. It was not fun to go back to shaving, but if it will help me to not ever have hair their again, I’m cool with it. I was definitely a lil nervous heading into my first treatment, two of my friends just had it done in the last week or so and said it wasn’t too bad which helped my nerves a lil bit. You go into a room, and lie on a bed. The technician selects a setting, then applies a gel to the area to be treated. Since the underarms is such a small area it was over pretty quickly. It definitely was an uncomfortable sensation. I’m glad it was so quick or I don’t think I could of handled it. I don’t know how people do large areas like their legs. Weird thing was the first underarm hurt more than the second. I’m not sure why that is, but I’m just glad it’s over and I don’t have to do it again for 7 weeks. Thanks Groupon for the great deal, 8 treatments for $99! After laser hair removal I went to the mall to buy some more work clothes. I’m thinking I will do a whole post about transitioning my wardrobe from grad school to the real world. Have you bought any groupons? If so, what for?? What do you do to stay sane when you have lots of errands to run? So cool! I hate shaving my armpits haha. I know it’s the worst! I had to stop waxing them before I could do the laser and having to shave them was miserable!! YAY CONGRATULATIONS! I hope you make it to the next round and get the job!! !